Think your last apartment or hotel room was small? 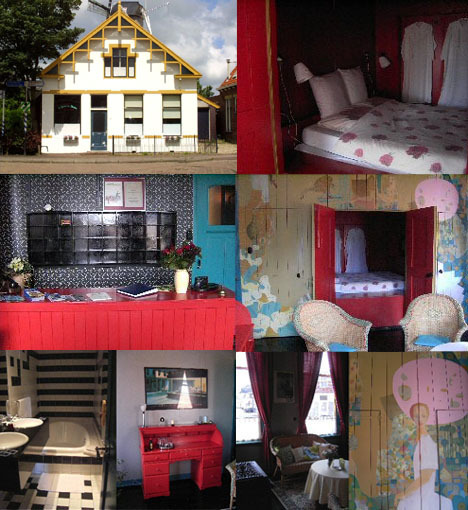 Believe it or not, there are a lot of contenders for the dubious title of smallest hotel on the planet. Some claim this world record by number of rooms, others by size and all are quick to defend their position. However, you can judge for yourself after taking a look at this incredible collection of the tiniest hotels from around the globe! 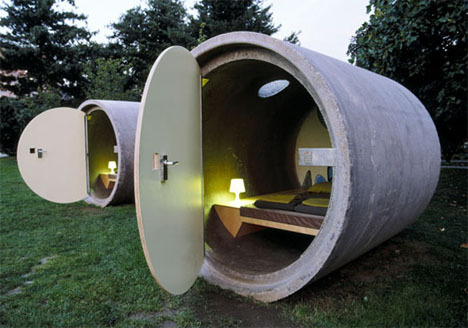 A few feet from the flowing Danube river in Germany, these cramped Das Park pipe hotel accommodations seem as cozy as they are tiny. Simplicity is the key word to these elegant designs, blank round pipes on the exterior and minimally finished rooms on the inside. Even better, guests get to stay in a lovely park setting and pay only what they want to. 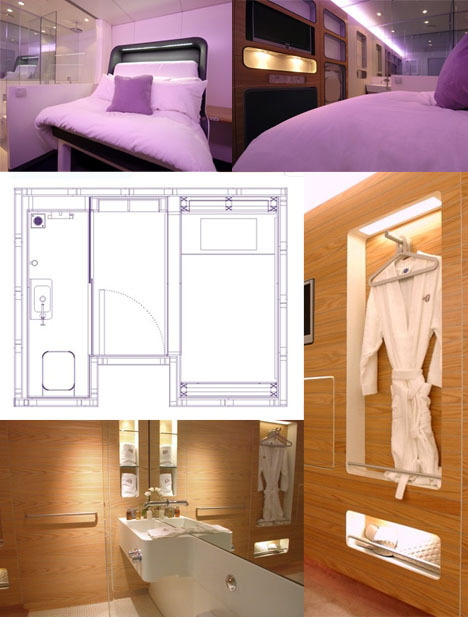 The Yotel airport hotel is as cleverly designed as it was named, a slick luxury hotel room in a very small space. It is located incredibly close to the check-in counter at London’s Heathrow airport and comes with flat screen televisions, wireless internet and 24 hour room service. The basic idea is to blend luxury, convenience and reasonable pricing as well as clever and creative space solutions that maximize comfort and minimize space. 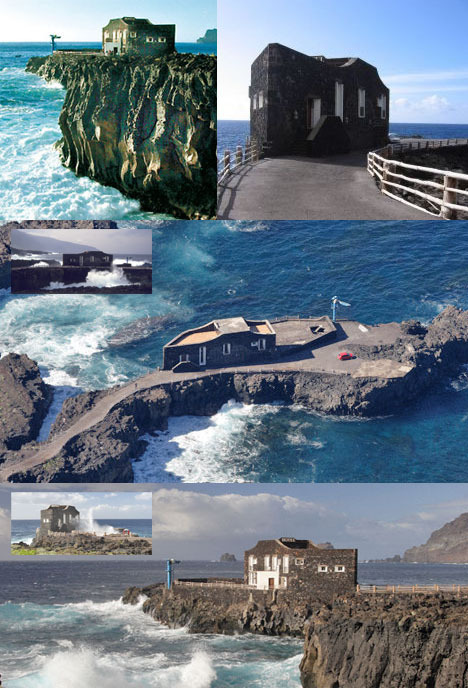 On the island El Hierro, a part of the Canary archipelago, sits the strange little Punta Grande stone hotel that is the opposite of luxurious. It has no amenities to speak of and sits dangerously close to the waves, which often toss up over the rocks and hit the sides of the hotel itself. 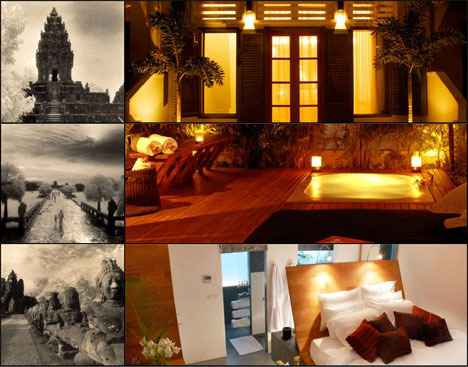 Nonetheless, it is a beautiful getaway for those seeking a full retreat from the typical bustle of urban living. This one room hotel in Cambodia is arguably the most luxurious guest room in the world, or the smallest, or maybe even both. Despite having only one room this hotel has everything a normal hotel would, including a reception area, doorman and ful services found in any respectable hotel setting. 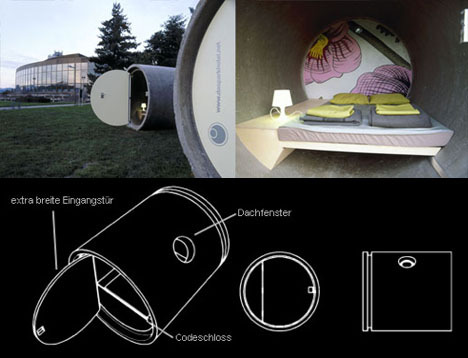 The single room can even be turned into a restaurant on demand. The town of Eernum, Hollad is perhaps too eager for the title of smallest hotel in the world. As their own modest one room hotel‘s website itself points out: it is the town’s only claim to fame, alongside its three cafes, candle maker an mustard museum. Nonetheless, they do boast a Guinness Book of Records spot for their curious an quaint accommodations and a crown prince’s wedding night as well. Though most people have heard of them by now, not mentioning capsule hotels in a list of the world’s tiniest hotel rooms would be impossible. 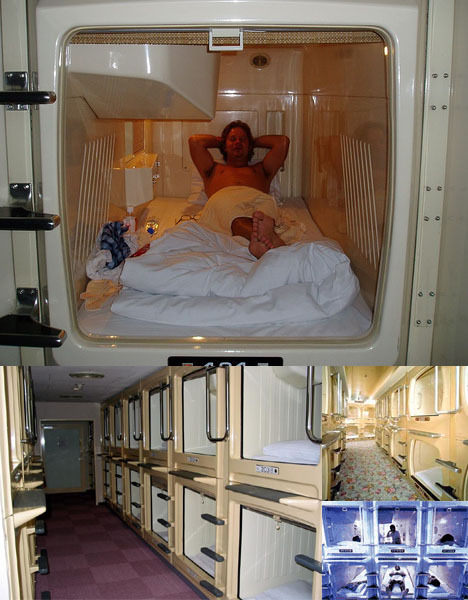 Despite their almost unbelievably small size, capsule hotel rooms can cost as much as $40 a night and often feature surprising amenities including wireless internet access and television sets. Outside of the rooms themselves, vending machines, restaurants, pools and other communal spaces can also typically be found. On a more humorous note, thrill-seeking foreigners are sometimes discouraged from staying in these, while intoxicated local businessmen too drunk to go home are welcome. The Phillips so-called “One Star Is Born” high-tech hotel project may be the wave of the future, based as much on economic savings as on technological innovation. 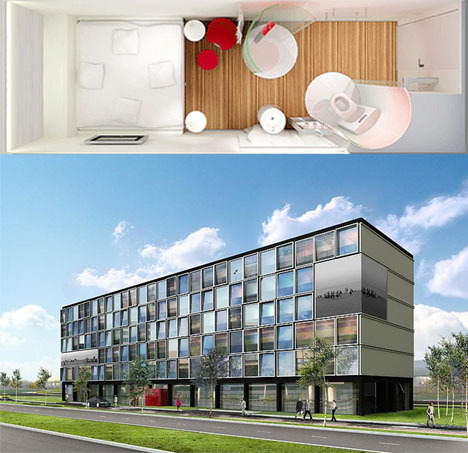 The Citizenm hotel in Amsterdam is a test version including ready-made rooms that are jacked into a grid when a customer arrives and set to their preset preferences. In theory, this will provide greater customization for the user while reducing costs.